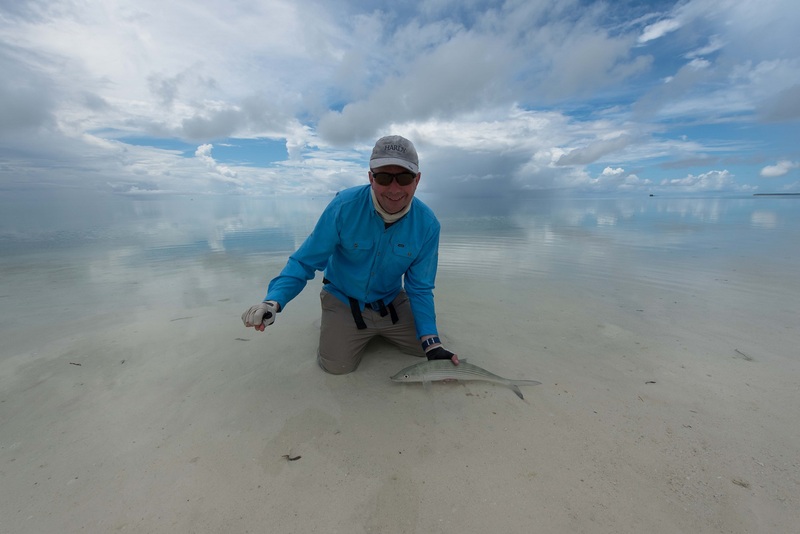 Alphonse Island Fishing News - Bill, Bone & Flats Slams! Alphonse island fishing news – Bills, Bones & Flats Slams! 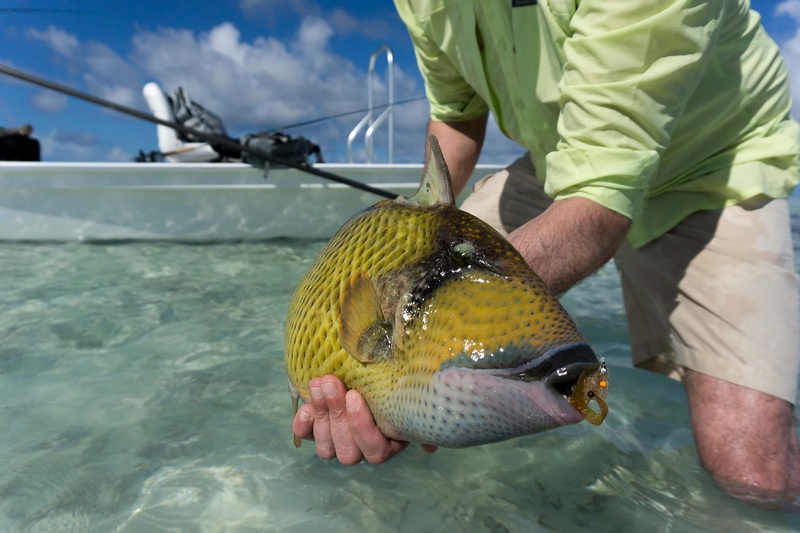 Anglers of Alphonse and St Francois encountered variable conditions this week as the tides transitioned from neap to springs with light southeast winds and favorable light overall. 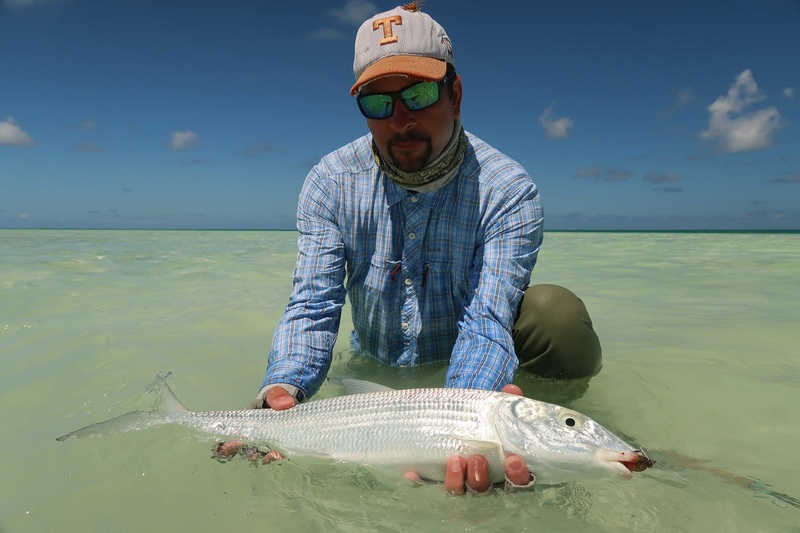 The week started with the anglers acclimating by targeting bonefish which were found in heavy concentrations around high spots with catches of 20 or more being accomplished by days’ end. 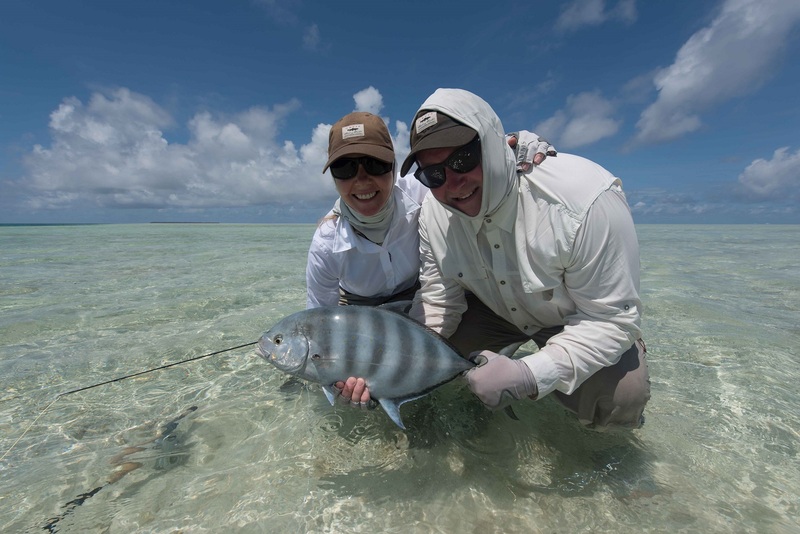 Day two yielded impressive results as Nicholas Holtby landing a 70cm GT, Moustache triggerfish and a bonefish for a “Flats Slam”. 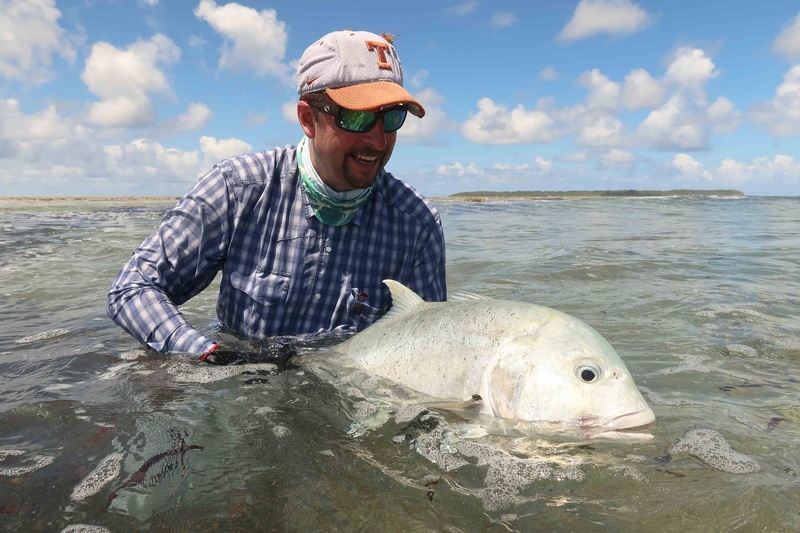 Marcus Courtney, new to salt water fly fishing started at the top, landing an Indo-Pacific Permit in the closing minutes of the day as the tide reached its peak on the west knoll. Terry Coleman and Niall Turley came home with catches of moustache triggers caught both on finger flats and the surf. 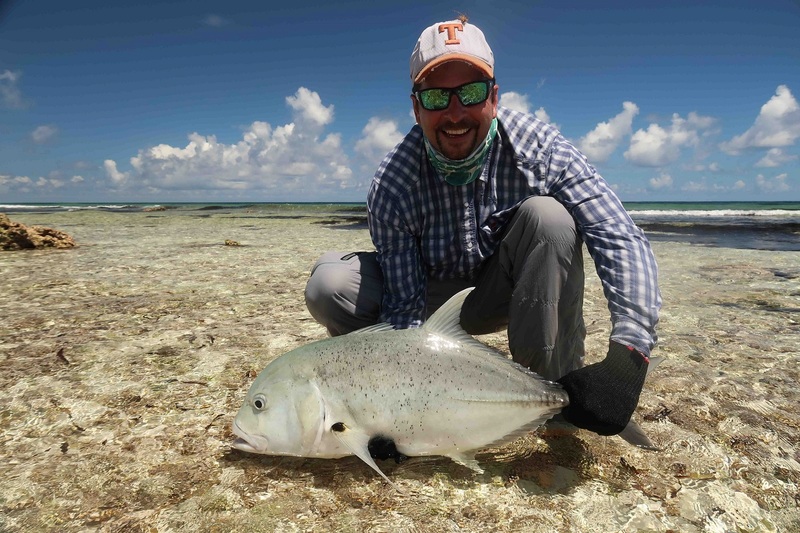 As the tides become proper spring, anglers walked the surf reporting many shots and sightings of giant trevally. Scott Hughey covered near 4 miles of Alphonse surf which rewarded him landing a 78cm GT near the boiler. Nick Baird and Harry Nash account for two more GT’s caught at Pompano Channel measuring 55 and 62cm. Outside the atoll, Greg Turley hooked a massive milkfish which unfortunately after an hour long battle was taxed by a shark boat side. 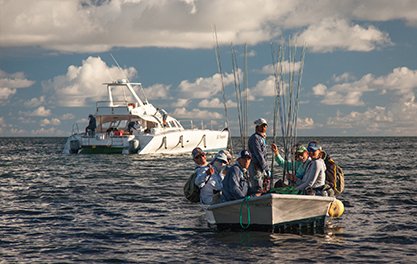 Blue water fly fishing remained consistent as Nick Baird landed 3 sailfish and a wahoo. Harry managed a “bills & bones” slam, starting his morning on the flats and fishing out on the blue water, Mark Turley brought both a sailfish and wahoo alongside. Thanks and congrats to all anglers on their accomplishments throughout the week. A SUMMARY OF THE WEEKS CATCHES FROM OUR 10 LUCKY ANGLERS!